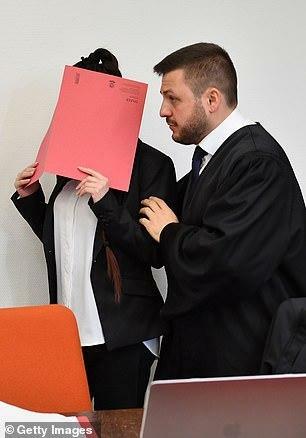 A German woman who joined ISIS has gone on trial today accused of letting a five-year-old Yazidi ‘slave’ girl die of thirst. Prominent human rights lawyer Amal Clooney is part of the team representing the dead girl’s mother, but she is not expected to appear in the Munich trial on Tuesday. I suggest turning her over to her victim’s relatives.